Is there anything better than getting behind the wheel of an awesome ride and knowing you can steer it wherever you want? I think that’s one of the best feelings in the world. A road trip is a journey to self discovery and adventure. I got to go on an road epic trip through Northern Arizona with one of my favorite brands! Toyota! Toyota has always been in my heart since my very first vehicle at 16 was a Toyota Tacoma. I used to take it off roading after high school (I hope my parents don’t read this). I made epic memories in that truck and it was an absolute joy to drive. My love for Toyota only deepened when I got the keys to my Rav 4 Adventure, the chosen ride for my road trip. It’s like Toyota crept into my mind and designed the perfect vehicle for me. We’re talking a sporty SUV with four wheel drive and all the additions you need to get you to any destination. However, this rugged ride was sleek and luxurious (yes luxurious) on the inside. There was leather on the dash, sleek touches of carbon fiber and my personal favorite part of any vehicle ever, a cup holder big enough to hold my 32 oz. Hydro Flask (I’m kidding but seriously have YOU ever seen a cup holder that can hold one???). By the way the Adventure was a candy apple red with all black wheels… take a look at this beauty. I felt good about being in this car. Our journey started with a visit to one of the coolest places on the planet, Sedona. My sister and I hiked Broken Arrow Trail and leading up to it we got a taste of taking the Rav 4 Adventure off road. Now that was fun! I want to make sure you know that for some parts of Sedona you need to have a Red Rocks Pass hanging on your rear view mirror to make sure you don’t get a parking violation. We got ours at Circle K but there are a handful of places that sell them. We had the pleasure of dining at Cress on Oak Creek where you absolutely must try the lemon meringue dessert! This restaurant is along Oak Creek so the views and sounds of the creek are divine. We stayed at Sedona Rouge Hotel and wow, I would recommend it to anyone! The design was elegant, the bathroom was gigantic (with double sinks) and we had beautiful views of the red rocks. The patios were such a great size, you could really relax and take in the scenery. We also had a fabulous breakfast at the hotel restaurant, Red’s. There was an acai bowl on the menu so it was a huge win for me! This is a hotel I had never heard of before our trip but I absolutely plan to stay here again. The next destination on our road trip was Page, Arizona to see Horshoe Bend, hike into a slot canyon and experience Navajo dancing. 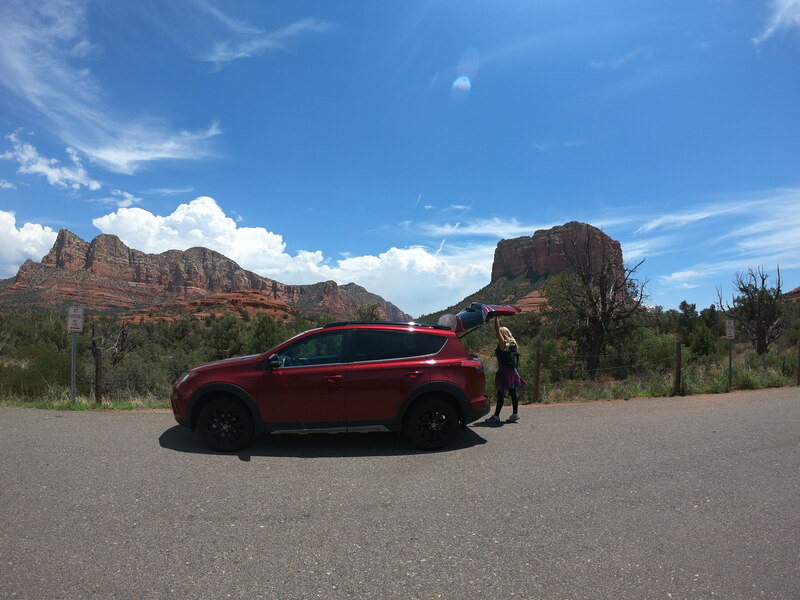 It took us about three hours to drive from Sedona to Page and it was really fun in the Rav 4 Adventure. The drive exiting Sedona on 89A winds through the red rocks and becomes enveloped by lush greenery along the way. It’s the kind of beauty that makes me feel especially stunned by our state. 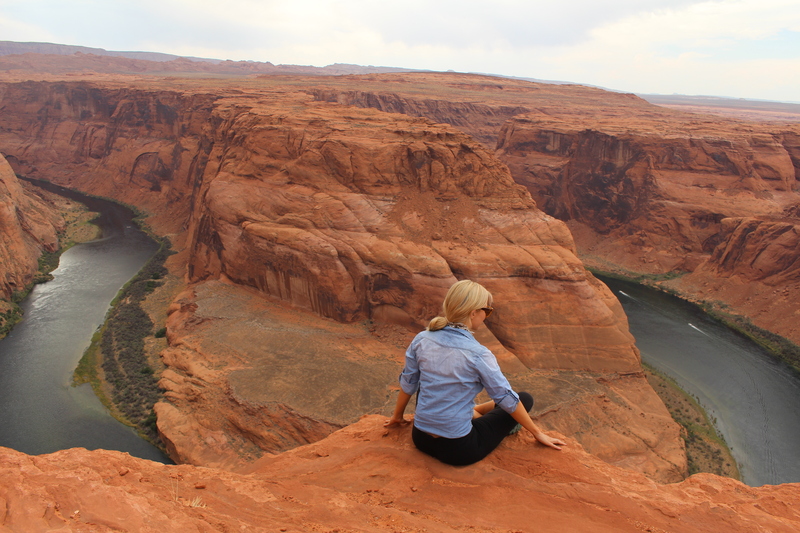 We made it to Page and got to head out on an adventure with Horsehoe Bend Tours. This tour company owns land in Page with exclusive access to Horsehoe Bend. We got to completely avoid the crowds and get a very personal experience. I have been to the regular entrance and I would recommend avoiding that and paying for this private access. You won’t regret it! We were able to get right to the edge and take photos without any tourists in the background. We also didn’t have to hike through the heat because we drove right up to the overlook. Trust me on this! We got to offroad in our Toyotas to both Horseshoe Bend and the slot canyon. I rode in a Tacoma with my new friend Jeremy behind the wheel. You can see pictures and check out his version of these events here. Off-roading in the Tacoma reminded me of being a teenager in my own Tacoma. We had such a blast making it to the canyon. Thanks for being a badass driver, Jeremy! Getting from our vehicles to the slot canyon required a bit of a hike through sand but it was worth every grain of sand that ended up in my shoes. Walking through this slot canyon lets you see the beauty of our planet’s processes as a work of art. Every flood for thousands of years worked to erode and carve this canyon. Touching the walls allows you to touch a piece of sacred history. Nature is an artist. As a weather forecaster, I get obsessed with this type of natural process. So often we talk about storms and only notice their destruction. This is a chance to take note of their creations. My favorite part of our tour was when our wonderful tour guide allowed us time to explore the canyon on our own then called us back to our meeting spot by softly playing the flute. This was an experience I will never forget. Later that night we got to eat dinner and entertainment at Into the Grand. They serve Navajo dishes while you get to enjoy traditional Navajo dancing. First of all, the fry bread was fluffy and wonderful. I got a fry bread taco with beef and I am still dreaming of it. Of course, I had dessert fry bread with honey and powdered sugar too! We got to learn a ton of interesting facts about The Grand Canyon, Navajo history and of course the meaning of dancing to the Navajo people. Tomas, the emcee for the dancing portion of the evening, explained the meaning behind every dance before it was performed. His explanation made the music and moves incredibly powerful. I was moved to tears more than once and I was blown away by the intricacies of each outfit. 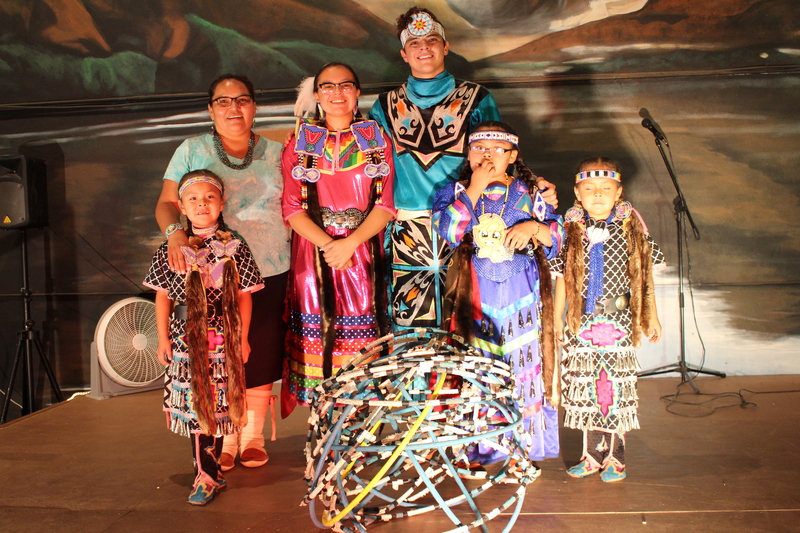 I appreciated this opportunity to learn about and experience the Navajo culture. One our final day, we took a trip to the Grand Canyon. Did you know it’s $30 to enter the park but $80 for an annual pass to all national parks? The annual pass can be shared between two primary card holders plus you can take up to four guests with you in a single vehicle! Jackie and I had a beautiful drive into the park and got out at multiple viewpoints to soak in the sights. 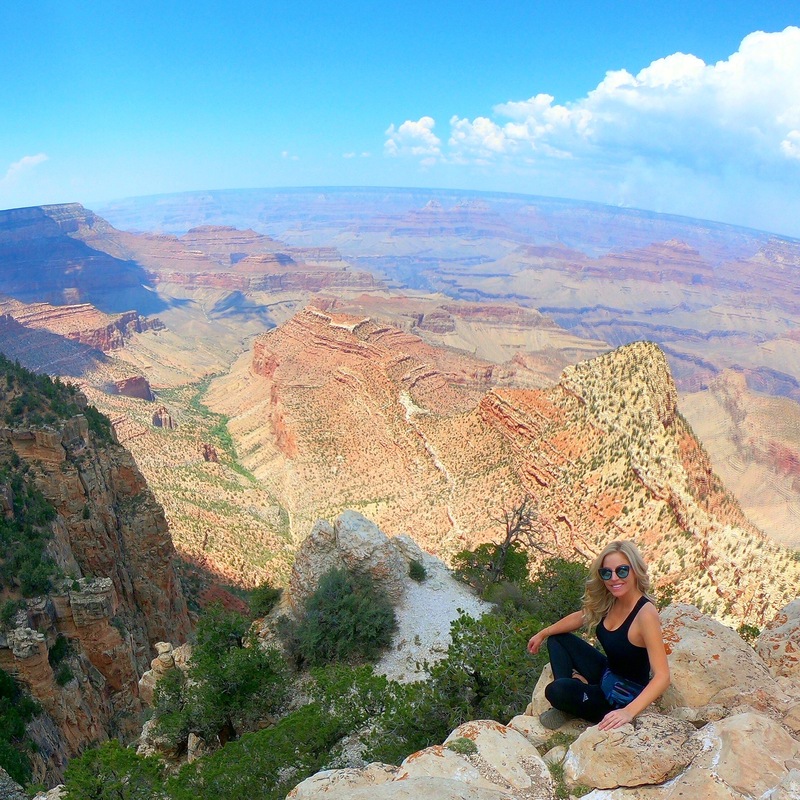 It’s incredible to me how many Arizonans have never been to The Grand Canyon. Are you one of them? If so, let’s change that! You don’t even have to be an expert adventurer to appreciate what the parks offers. The viewpoints are accessible for anyone! There are many beautiful camping areas in the park and I already can’t wait to head back to the park for a longer trip. I can’t thank Toyota enough for giving me this chance to see my state in a whole new way. Taking a road trip is always a good idea but it’s even better when you are in a reliable vehicle with plush amenities. I got to see new sights, eat amazing food, and most importantly connect with Arizonans. 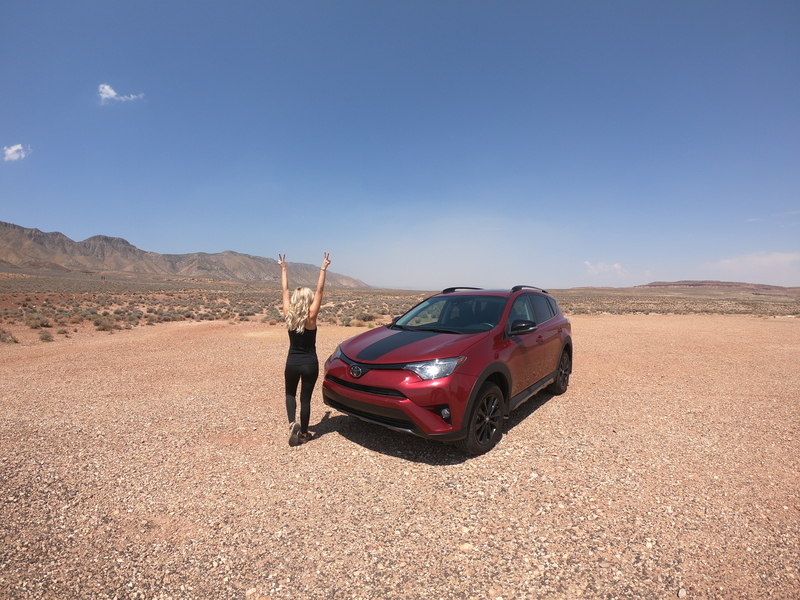 Let me know if you have any questions about my Rav 4 Adventure! Let’s go places!